Tyler Ng is the Junior of the Month for March. Time and again Tyler has proven himself a student with a tremendous work ethic, an original manner of thinking, a supportive personality, and a modest demeanor. All of Tyler’s current and past teachers believe that he has an exciting and successful future ahead. Ms. Connors, his AP Geography teacher, says Tyler is “incredibly hardworking, extremely involved in class, and an asset to peers.” Below, Tyler provides student correspondent, Antonio Perez, with some thoughts about WHSAD and why he believes he was nominated. My main goal in WHSAD is to graduate and eventually achieve the role of senior valedictorian. This is an important achievement for me, while it is a major one, indeed, I believe that with all I have learned and will learn up to graduation, with my hardwork and determination that end goal is becoming possible. Every day I work towards achieving this goal and keep working harder every time. Though it may not be particularly easy, I continue to strive for that goal and it motivates me, in times where I feel hopeless. 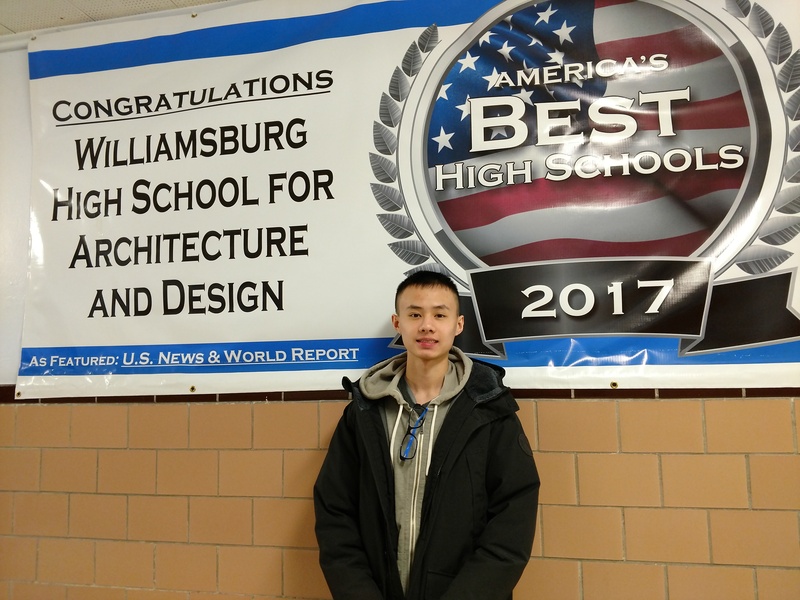 The architectural support, along with programs, and a plethora of resources is what I believe makes WHSAD such a unique and special learning environment. WHSAD gives you the opportunity to further your knowledge in the career field and learn more about the specifics of architecture and engineering. Students can be introduced to several important factors which can really benefit them in the future and work towards their advantage. I believe I was personally chosen because of my will to work hard and my resilience. When I’m given a task, I work to the best of my ability, even if I’m confused or overwhelmed, I keep striving to complete my task. When something goes wrong, I don’t see it as a failure but an opportunity to come back and work even harder than before. 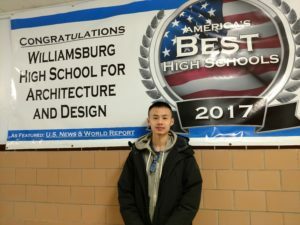 Architecture-based classes are my favorite because of the fact that they provide a unique and different experience than standard classes and they help prepare us for potential jobs in the field of architecture, engineering, and construction. After graduation, I aspire to expand on my architectural knowledge and explore my interests. This can be done through colleges which are best suited for my particular interests and skill set. I’m currently interested in a select few top colleges, ivy league schools and MIT are schools which I believe can expand on what I already know and help me pursue my career options. Through extracurriculars that WHSAD offers such as SkillsUSA, Architecture, and Electrical Club I can explore my interests and expand my knowledge in work based settings which will help not only prepare me for college but also eventually a career path. The community in WHSAD is what makes the school so special. It’s easy to get support from teachers because of the fact that the community is so close-knit and generally offers such a comfortable and open vibe. All the teachers and students know each other which is essential to creating a good school environment, as everyone feels comfortable in class and is more than willing to actively participate with class discussions. WHSAD offers such a unique experience unlike any other high school, just from freshman year, you are given so many opportunities to expand on what you already know and prepare yourself for the future. WHSAD has helped me become prepared for my future in the architectural, construction, engineering field, and that is why I couldn’t more grateful for WHSAD.